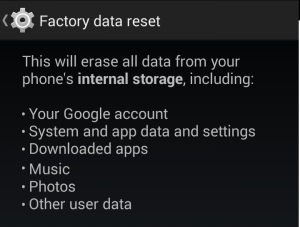 There are many reasons why we want to make a factory reset on our Android. Sometimes we have installed and uninstalled so many things that the mobile starts to fail. Other times, we just want to give it away or sell it and we don’t want any trace of our files, pictures and games left on our phone. We have to remember that in addition to photos and files, the phone stores Wi-Fi passwords, personal data and other configuration files that we should delete. While not all devices have an SD card, the ones that have it keep information stored. Whatever the reason we want to do a factory data reset on our device, we must keep in mind that this reset doesn’t include the SD card, so if we want to empty the phone completely, we have to reformat separately the phone and the card. Formatting the device will leave us in the same condition as when it shipped. The steps are very simple and will not take long. 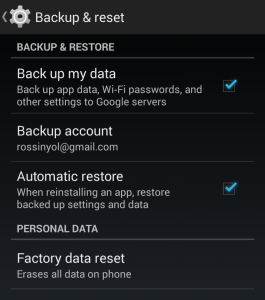 We must go to Settings and look under “Backup and restore”. Once inside, we see that there are several options available, including “factory data reset”. If we select this option, we ‘ll get a warning about the effects it will have on the system files. If we agree with the removal of all these data, we can move on with the factory data reset. The factory data reset doesn’t affect the SD, so that if we want to remove all the information stored in the phone, we also need to format the card. To do so, we must go to “Storage” in the “Settings” menu. Among several other options, we can find “Erase SD card”. It requests confirmation before formatting, and when the operation is finished, we will have the microSD ready to use again.